Why is Pandora Called Pandora? If you haven’t tried to accomplish something more than 340 times while maxing out 11 credit cards, it’s possible you haven’t tried hard enough. Anyone who has ever had a goal knows they don’t always come easily, and maybe nobody knows that better than Tim Westergren. Westergren, along with Will Glaser and Jon Kraft, founded Pandora Radio in September 2005 with the sole purpose of providing personalized radio to internet users. Headquartered in Oakland California, it took two years of work before their breakthrough: Pandora was featured as one of the first listings in the iPhone app store. Suddenly, they had reached mass market. Ultimately it took much more than maxed out credit cards for the radio app to succeed. After the company’s initial plan for third-party licensing with brands like AOL and Best Buy nearly left the idea in the dust, Pandora Media relied on private investments from angel investors and venture capitalists before going public in 2011 – more than ten years after Westergren first dreamt of readily accessible radio. The company is currently led by CEO Brian McAndrews, with more than 1,300 employees and upwards of 250 million users. Why is it called Pandora? The idea actually began in the early 90’s, just as the internet was beginning to boom, when Tim was struggling as a self-employed musician. To help pay the bills, he took up work as a musical composer for films. Film after film, the specific taste of each director led him to a more methodical practice of composition. In an ambitious attempt to codify his approach to making music, he created Savage Beast Technologies in 2000. 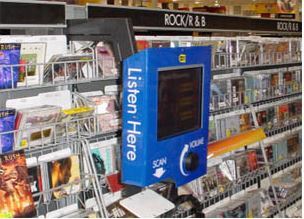 After ten months, this endeavor gave life to the Music Genome Project, which aimed to complete “the most comprehensive analysis of music ever undertaken.” Although the technology was originally distributed in store kiosks designed to give music-lovers insight into what albums would be worth adding to their collections, it eventually set the foundation for Pandora. SEE ALSO: Why is it called Spotify? While the funding was complicated, “the original idea was actually a pretty simple one,” Westergran told Inc. “There are these thousands of talented but invisible musicians wandering the highways and clubs of America and there’s an audience out there that would love to have music if they knew about it.” In order to make this music more accessible, MGP had to provide the taxonomy through which they could create a predictable pattern across genres. Today, Pandora uses a team of music analysts to identify more than 400 unique characteristics that categorizes each song, which users can then vote to keep or skip on any given station he or she creates. Despite the fact that its availability is limited to the U.S., Australia and New Zealand because of licensing rules, Pandora still operates on a freemium model, where users can choose between a free account supported by targeted advertisements and a paid premium subscription without ads. To many terrestrial radio-averse music lovers, Pandora’s model has been a gift from the gods. It’s no coincidence that this enlightened experience is exactly where the application got its name. Post update: Pandora reveals a new logo and it looks a lot like PayPal’s.